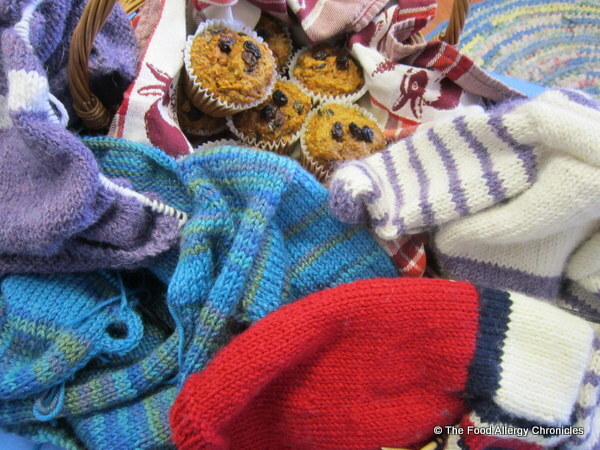 Posted on March 25, 2013 by Susan H.
With spring officially here…is ‘Mother Nature’ aware?..I thought I would start the weekend off with some freshly baked allergy friendly muffins for the lovely ladies in my last knitting class at the Kniterary. Our last knitting session for our baby sweater…or so I thought. 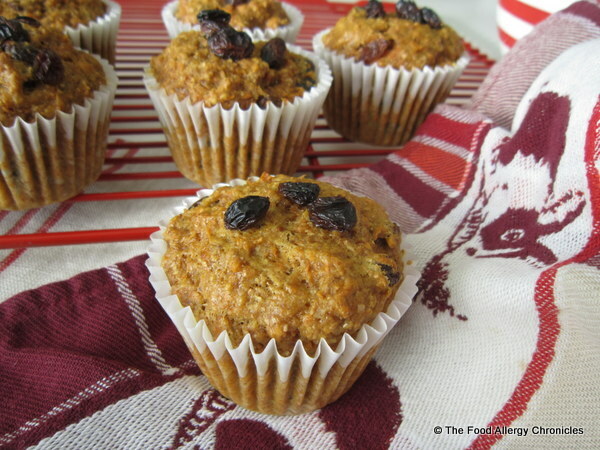 This fibre-rich muffin made with whole-wheat flour, wheat germ and a flax egg was incredibly moist…not to mention…delish! Clipped from an old Canadian Living Magazine…I adapted the recipe to be made without dairy and eggs…replacing the all-purpose flour with whole-wheat flour. Click here for the original recipe. Substitute Natur-a Rice Beverage or Natur-a Soy Beverage for milk. Substitute 1 tbsp of flax meal mixed with 3 tbsp of water, refrigerated over night for the egg. Substitute canola oil for the melted butter. The knitted baby sweater has taken our class more than the 3 scheduled classes…our group met last week for an extra class… will be meeting again for an extra class this week too. Despite the challenges that we have faced with the baby sweater…we all admit we are addicted. All of us that can…are signing up for the next knitting project…socks! Each of the lovely ladies in my knitting class are at various stages of the sweater…I just have the I-cord (trim), sewing in the loose bits of yarn, knitting something special as the ‘button’ and the ‘blocking’ of the baby sweater left to do. Total of 4 sweaters…mine is the violet and cream on the far right. The knitting instructors and the lovely ladies in my knitting class were pleasantly surprised that such an adapted recipe tasted so yummy! P.S. One batch of muffins yielded only 9 muffins so I needed to quickly whip up another batch…couldn’t leave the house smelling of delicious muffins without leaving any for Andy to try! 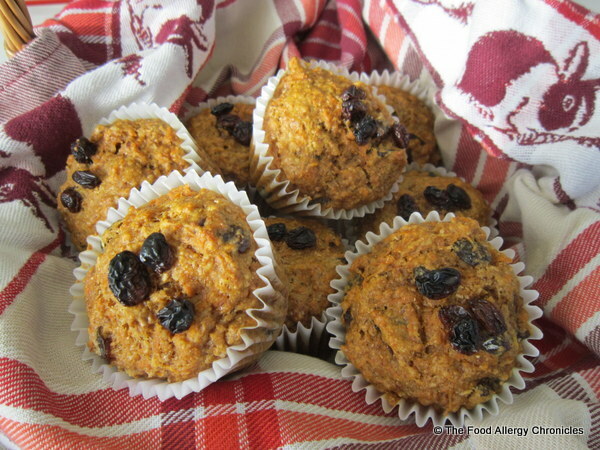 This entry was posted in allergies, baking, breakfast, dairy free, egg free, muffins, multiple food allergies, peanut/tree nut free, soy free, Uncategorized and tagged Dairy Egg Soy and Peanut/Tree Nut Free Wholewheat Carrot Raisin Muffins, Kniterary, Natur-a Rice Beverage, Natur-a Soy Beverage by Susan H.. Bookmark the permalink.